Социальные изменения и обновление учебных программ требуют изменений и в образовательной практике. Это может привести к конфликту между реализуемой ныне стандартной практикой (и ее нормами) и той, которая предполагается новыми учебными программами. Одним из примеров подобных изменений является внедрение информационно-коммуникационных технологий (ИКТ) в дошкольное образование. Мы задались целью проанализировать, как нормы уже сложившейся практики используются в качестве аргументов «за» или «против» использования компьютеров для обучения дошкольников. В качестве материала для анализа выступили 31 эссе студентов, обучающихся по специальности «дошкольное образование», описавших опыт использования компьютеров в своей практике. Результаты показали амбивалентность позиции в области применения компьютеров в дошкольной практике. Было выделено две линии аргументов: одна поддерживает новые технологии, другая отвергает их. Аргументы, оправдывающие использование ИКТ, описывали ребенка как гражданина, компетентного и активного члена общества. Интерес вызвало равновесие между потребностью педагога в управлении и потребностью ребенка в независимости. * Статья Mats Gunnar Lindahla and Anne-Mari Folkesson ICT in preschool: friend or foe? 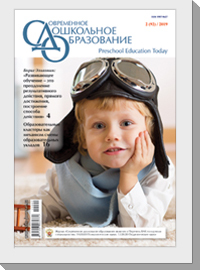 The significance of norms in a changing practice // International Journal of Early Years Education, 2012, №4, p. 422–436 публикуется с любезного разрешения журнала International Journal of Early Years Education. 1. Надлежащее использование как аппаратного, так и программного обеспечения (Couse, Chen, 2010; Plowman, Stephen, 2003; Vernadakis et al., 2005). 2. Необходимость внедрения ИКТ как средства обучения (Chen, Price, 2006; Edwards, 2005; Vernadakis et al., 2005; Wolfe, Flewitt, 2010). Исследования показали положительное воздействие компьютеризации на эффективность обучения и развитие дошкольников, тем самым оправдывая интенсивное применение ИКТ в системе образования. Хотя значительное количество исследований говорит о положительном влиянии компьютеров на процесс обучения и развития, сохраняется озабоченность тем, что использование ИКТ может оказывать и отрицательное влияние. 1. Bergin, D., M. Ford, and R. Hess. 1993. Patterns of motivation and social behavior associated with microcomputer use of young children. Journal of Educational Psychology 85: 437–45. 2. Bridges, D. 2008. Educationalization: On the appropriateness of asking educational institutions to solve social and economic problems. Educational Theory 58: 461–74. 3. Brostrom, S. 2006. Curriculum in preschool. International Journal of Early Childhood 38:65–76. 4. Chak, A. 2007. Teachers’ and parents’ conceptions of children’s curiosity and exploration. International Journal of Early Years Education 15: 141–59. 5. Chen, J.-Q., and V. Price. 2006. Narrowing the digital divide: Head start teachers develop proficiency in computer technology. Education and Urban Society 38: 398–405. 6. Clements, D.H. 1994. The uniqueness of the computer as a learning tool: Insights from research and practice. In Young children: Active learners in a technological age, ed. June L. Wright and Daniel D. Shade, 31–50. Washington, DC: National Association for the Education of Young Children. 7. Cordes, C., and E. Miller. 2000. Fool’s gold: A critical look at computers in childhood. College Park, MD: Alliance for Childhood. 8. Couse, L.J., and D.W. Chen. 2010. A tablet computer for young children? Exploring its viability for early childhood education. Journal of Research on Technology in Education 43: 75–98. 9. Depaepe, M., and P. Smeyers. 2008. Educationalization as an ongoing modernization process. Educational Theory 58: 379–89. 10. Edwards, S. 2005. Identifying the factors that influence computer use in the early childhood classroom. Australasian Journal of Educational Technology 21: 192–210. 11. Emilson, A. 2007. Young children’s influence in preschool. International Journal of Early Childhood 39: 11–38. 12. Emilson, A., and A.-M. Folkesson. 2006. Children’s participation and teacher control. Early Child Development and Care 176: 219–38. 13. Emilson, A., and E. Johansson. 2009. The desirable toddler in preschool: Values communicated in teacher and child interactions. In Participatory learning in early years, ed. Donna Berthelsen, Jo Brownlee and Eva Johansson, 61–77. New York: Taylor and Francis. 14. Giddens, A. 1984. The constitution of society: Outline of the theory of structuration. Cambridge: Polity Press. 15. Giddens, A. 1990. The consequences of modernity. Cambridge: Polity Press. 16. Haegglund, S., and I. Pramling Samu­elsson. 2009. Early childhood education and learning for sustainable development and citizenship. International Journal of Early Childhood 41:49–63. 17. Hechter, M., and K.-D. Opp. 2001. What we have learned about the emergence of social norms? In Social norms, ed. Michael Hechter and Karl-Dieter Opp, 394–415. Berkeley, CA: University of California Press. 18. Hill, S. 2010. The millennium generation: Teacher-researchers exploring new forms of literacy. Journal of Early Childhood Literacy 10: 314–40. 19. Hodgson, N. 2008. Citizenship education, policy, and the educationalization of educational research. Educational Theory 58: 417–34. 20. Horne, C. 2009. A social norms approach to legitimacy. American Behavioral Scientist 53: 400–15. 21. Johansson, E. 2004. Learning encounters in preschool: Interaction between atmosphere, view of children and of learning. International Journal of Early Childhood 36: 9–26. Lindahl, M. 2005. Children’s right to democratic upbringings. International Journal of Early Childhood 37: 33–47. 22. Lindahl, M., and A.-M. Folkesson. 2012. Can we let computers change practice? Educators’ interpretations of preschool tradition. Computers in Human Behavior 28: 1728–37. 23. Ljung-Djarf, A., L. Aberg-Bengtsson, and T. Ottosson. 2005. Ways of relating to computer use in pre-school activity. 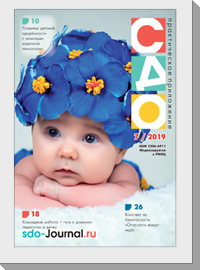 International Journal of Early Years Education 13: 29–41. 24. McCarrick, K., and X. Li. 2007. Buried treasure: The impact of computer use on young children’s social, cognitive, language development and motivation. Association for the Advancement of Computing In Education Journal 15: 73–95. 25. McCormick, L. 1987. Comparison of the effects of a microcomputer activity and toy play on social and communication behaviors of young children. Journal of Early Intervention 11:195–205. 26. Nee, V. 1998. Norms and networks in economic and organizational performance. American Economic Review 88: 85–9. 27. Orlikowski, W.J. 2000. Using technology and constituting structures: A practice lens for studying technology in organizations. Organization Science 11: 404–28. 28. Plowman, L., and C. Stephen. 2003. A ‘benign addition’? Research on ICT and pre-school children. Journal of Computer Assisted Learning 19: 149–64. 29. Plowman, L., and C. Stephen. 2005. Children, play, and computers in pre-school education. British Journal of Educational Technology 36: 145–57. 30. Plowman, L., and C. Stephen. 2007. Guided interaction in pre-school settings. Journal of Computer Assisted Learning 23: 14–26. 31. Pramling Samuelsson, I., S. Sheridan, and P. Williams. 2006. Five preschool curricula – comparative perspective. International Journal of Early Childhood 38: 11–30. 32. Qvarsell, B. 2005. Early childhood culture and education for children’s rights. International Journal of Early Childhood 37: 99–108. 33. Test, J.E. 2006. Infant and toddler teachers as transmitter of culture. International Journal of Early Childhood 38: 47–63. 34. Vallberg-Roth, A.-C. 2006. Early childhood curricula in Sweden from the 1850s to the present. International Journal of Early Childhood 38: 77–98. 35. Vernadakis, N., A. Avgerinos, E. Tsitskari, and E. Zachopoulou. 2005. The use of computer assisted instruction in preschool education: Making teaching meaningful. Early Childhood Education Journal 33: 99–104. 36. Wolfe, S., and R. Flewitt. 2010. New technologies, new multimodal literacy practices and young children’s metacognitive development. Cambridge Journal of Education 40:387–99. Линдал М.Г., Фолькессон A.-M. ИКТ в дошкольном возрасте: друг или враг? Значение норм в изменчивой действительности // Современное дошкольное образование. Теория и практика. – 2013. №9. – С.52–63.